See more objects with the tag collectors, allegory, art, butterflies, flowers, peonies, designers, print collectors, artisans, baskets, roses, still life, tulips, caterpillars, document, furniture designers. See more objects with the color dimgrey darkslategrey grey tan or see all the colors for this object. This is a Print. It is dated ca. 1680 and we acquired it in 1938. Its medium is etching, engraving on off-white laid paper. It is a part of the Drawings, Prints, and Graphic Design department. The French artist Jean-Baptiste Monnoyer trained in Antwerp, where he perfected his skill of composing floral still life paintings, a specialty of the Low Countries. His designs combine the scientific accuracy of botanical illustration with an aesthetic elegance. Popular with aristocratic clients in France, England and the Netherlands, Monnoyer’s flower paintings document the evolution of the French still life into a legitimate artistic style. Grand floral compositions came to dominate the French decorative arts, and were found on tapestries, carpets and embroidery. Monnoyer worked in a variety of media; he painted still lifes, designed schemes for interior decorations at Versailles and other French royal palaces, and was affiliated with the Gobelins and Beauvais tapestry manufactories. 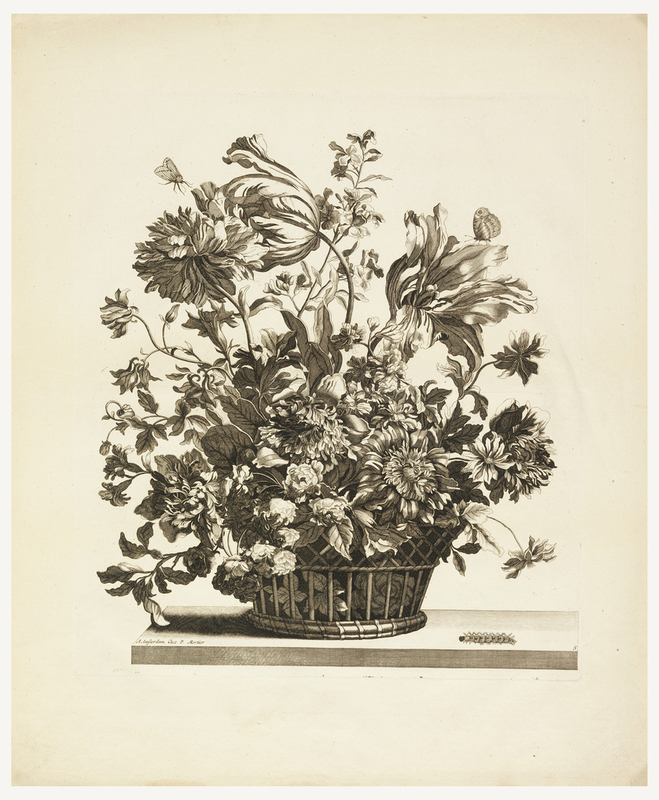 Prints of his floral compositions were eagerly sought by print collectors. 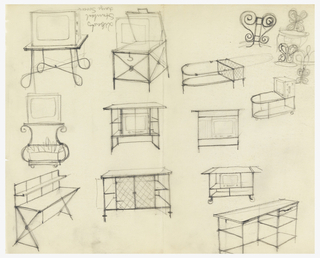 They were also published in the form of pattern books for use by artists and designers. These greatly contributed to his popularity and renown. 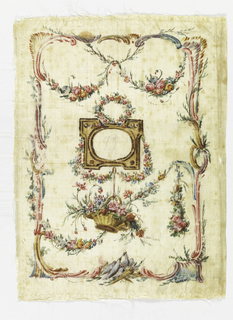 This engraving is a plate from the series Livres de Plusieurs Paniers de Fleurs, one of the artist’s most influential suite of prints. 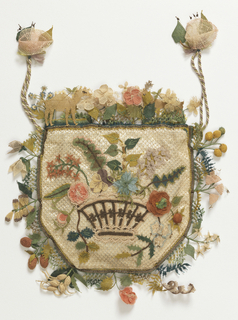 This object was catalogued by Megan L. Smith. It is credited Gift of Norvin Hewitt Green. graphite on cream tracing paper. 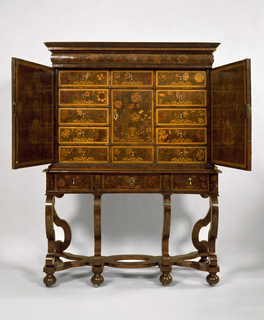 This object was previously on display as a part of the exhibitions	Hewitt Sisters Collect and The Cooper-Hewitt Collections: A Design Resource.